Home > Food marketing > How Can I Increase My Sales? Offer more sizes/quantities, offer bulk purchase, or provide refillable bottles. Larger sizes and bulk sales are typically more economically and environmentally friendly. But think small, too. Many people live in small households and large quantities will get wasted. How about offering a CSA sampler for people who live alone? Change where/how you sell. Many businesses increase sales by working with distributors, selling to larger stores, or starting an eCommerce operation. If these options aren’t right for you, why not make your product available through a curated shopping site? There are a growing number of sites selling artisanal products, so look for one that offers fair terms and shares your values. For example, my client, Glenwood Garden, sells sustainably-made food products from small producers and they donate 25-50 percent of the profit from each purchase to one of their participating nonprofits. Change the vibe. If you’re a restaurant or retail operation, providing a different atmosphere or service at different times of day can attract a whole new crop of customers. Rent space to a pop-up, host an after-hours meet-up, or offer shopping by candlelight. Invest in events. The right trade show can do wonders, but so can a holiday party. Or host a trunk show for one of your vendors. Balanced Rock Investment Advisors has successfully attracted new clients for their independent investment advice by sponsoring and tabling at local farmers markets, because that’s where their target customers are likely to be. By showing up repeatedly, they became a more familiar and trusted presence in the community. Partner up. My client, Fair Trade Judaica (FTJ), is building a fair trade movement in the Jewish community with a special focus on Fair Trade Judaica products. Fair Trade is all about partnerships, of course, and one of FTJ’s many partnerships is with Hazon, a nonprofit that works to create healthier and more sustainable communities in the Jewish world and beyond. Hazon recently advertised FTJ’s new bicycle and gardening menorahs (of special interest to Hazon’s bike riders and farmers) in their newsletter. Hazon received a 10% commission on those purchases and FTJ got new customers. Communicate. According to Harvard Business School, increasing customer retention rates by 5 percent increases profits by 25-95 percent. Communication is key to attracting repeat customers. I bought a new Honda this summer and was impressed by how many calls, emails, and letters I got from the dealer throughout the process, making sure that our questions were answered. While I’m not likely to buy another car soon, I’d recommend the dealer to a friend. Build loyalty. According to Inc., repeat customers spend 67 percent more on their purchases than new customers. So how do you encourage repeat purchases? Some people swear by loyalty programs. With its own app, gold card, and built-in payment system, Starbucks has created a legendary loyalty system that helped to generate a 9 percent increase in same-store sales. Yet, evidence shows that most supermarket loyalty cards aren’t generating increased sales or profits.The takeaway? What works for one business may not work for another. Test your loyalty program to see if it’s generating repeat purchases. 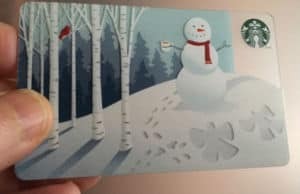 Even the simplest loyalty programs—stamping a paper card every time a customer buys a sandwich-—can pay off, but the more fun, unique, and personalized you can make your program, the better. Offer something more meaningful than a generic cup of coffee. Instead of giving a discount, why not invite your most loyal customers to an annual party? Share your values. According to Cone Communications, 93% of consumers say they’re more loyal to companies that support social or environmental issues. When you tell customers who you are and why you’re in business, it motivates them to keep coming back.